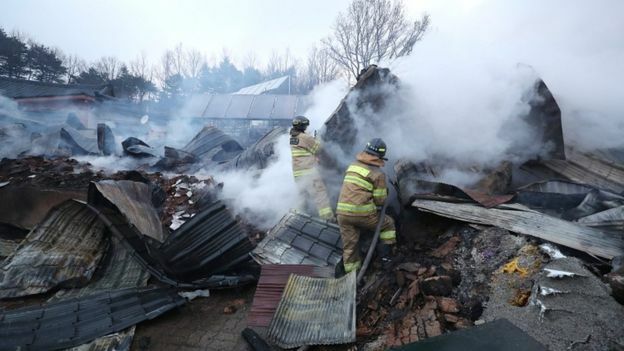 ​Two people are dead and hundreds displaced after a massive fire swept through several towns in South Korea’s northeastern Gangwon Province last week. The blaze was extinguished within a few days thanks to quick action from emergency responders, despite high winds that hindered the use of fire fighting helicopters and helped the fire spread more quickly. 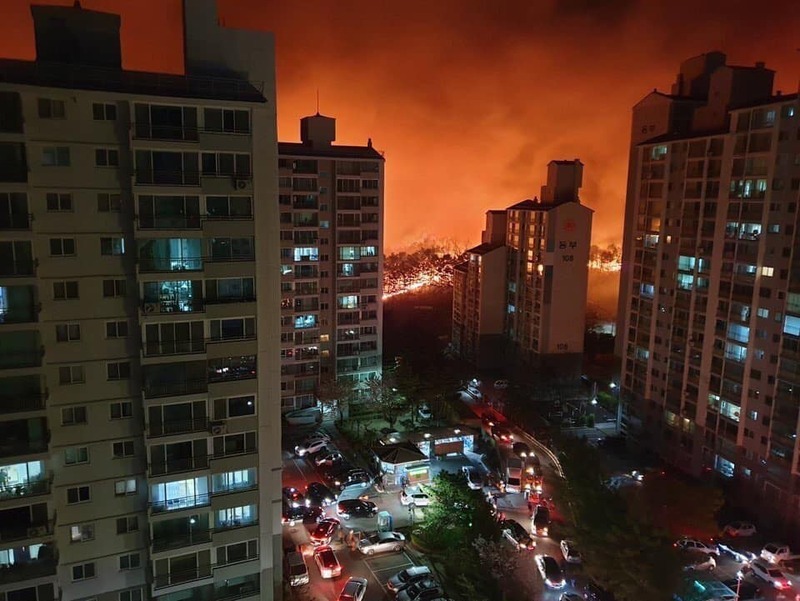 Authorities are calling this one of the largest fires in South Korean history, it destroyed at least 470 homes, almost 200 warehouses and dozens of farms and killed more than 41 000 livestock. 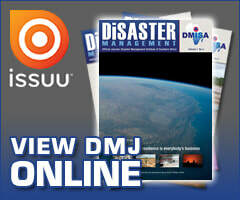 One person died from the fire and one was killed after being struck by debris. Investigators believe the fire began from a transformer spark in the evening of 5 April 2019. 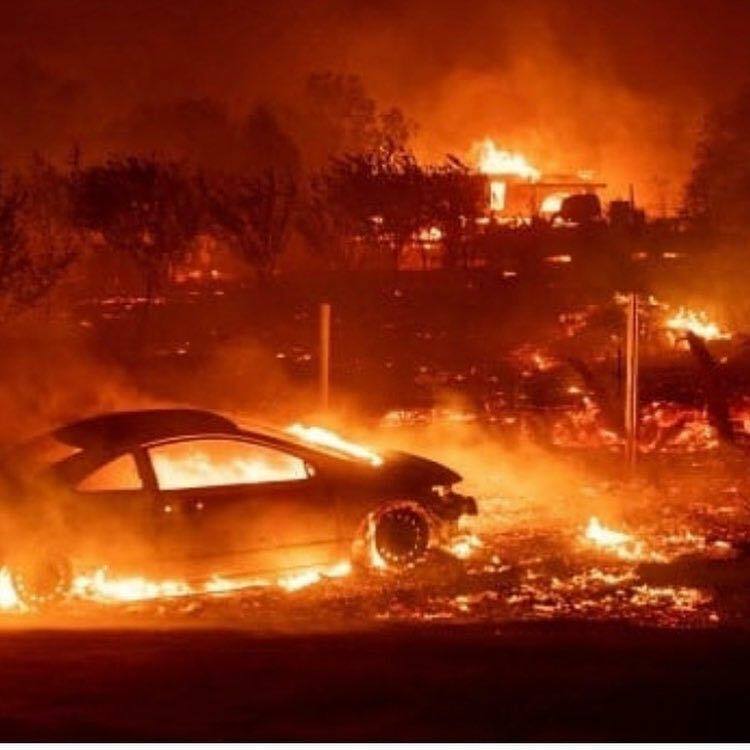 Local fire fighters, South Korean soldiers and even American service members stationed nearby quickly jumped in to fight the flames, bringing the bulk of the fire under control within a few days. Although emergency responders stopped the massive fire’s spread quite quickly, people still pointed out room for improvement for the future. 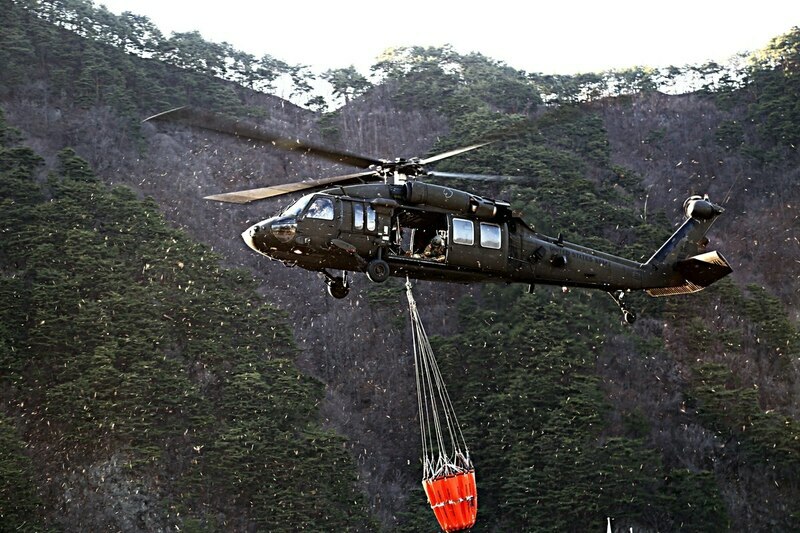 Because of the poor weather conditions, particularly high winds, South Korea’s fleet of fire fighting helicopters was grounded for extended periods of time. And major broadcasters have drawn criticism for failing to provide sign language interpretation during emergency broadcasts about the blaze. Activists gathered this week for a rally and submitted a petition to South Korea’s National Human Rights Commission calling for required sign language translation for TV programs, particularly during emergencies. Others have pointed out the need to address some of the factors that may have exacerbated the problem before it even started, including droughts and other climate change-related issues. Moon pledged to restore Gangwon province’s forests as soon as possible and to fund prevention efforts to deter future fires. 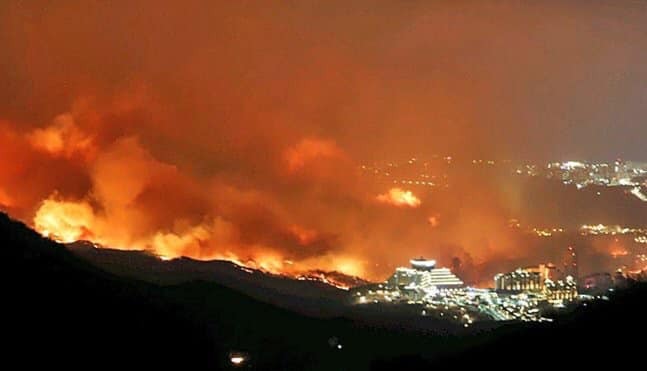 “Gangwon province experiences fires year by year, so in order to fight wildfires we need to build forest roads and procure needed helicopters,” Moon said, referring to roads that could provide obstacles and slow the spread of large wildfires among Gangwon’s extremely flammable pine forests. 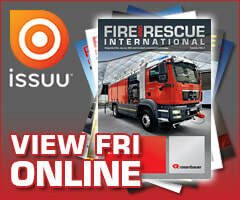 Meanwhile, the Korean public has stepped up to help those affected by the devastating blaze. According to the Chosun Ilbo, donations to two major disaster relief agencies topped 10 billion won ($8,8 million) as of April 8. In particular, celebrities have stepped up to raise awareness, with singers like Psy and IU personally donating 100 million won ($88 000) each to the relief effort. 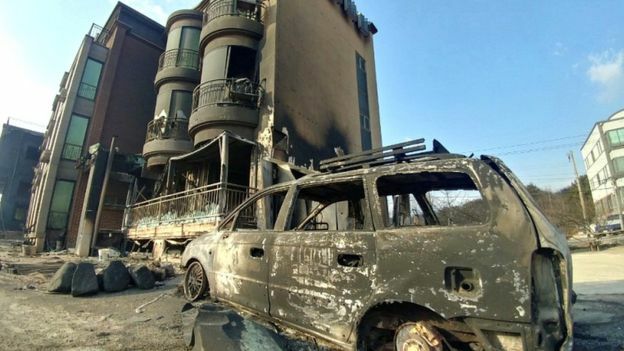 One of the biggest ongoing concerns is whether the Gangwon region, famous for hiking and beaches, will rebuild in time for the lucrative tourist season. To help encourage tourists to visit the province, Korail is offering 30 percent off train tickets to the area on their new Gangneung Line, which was completed last year ahead of the PyeongChang Winter Olympics. Korail is also providing free train tickets to anyone who has volunteered with the recovery effort. 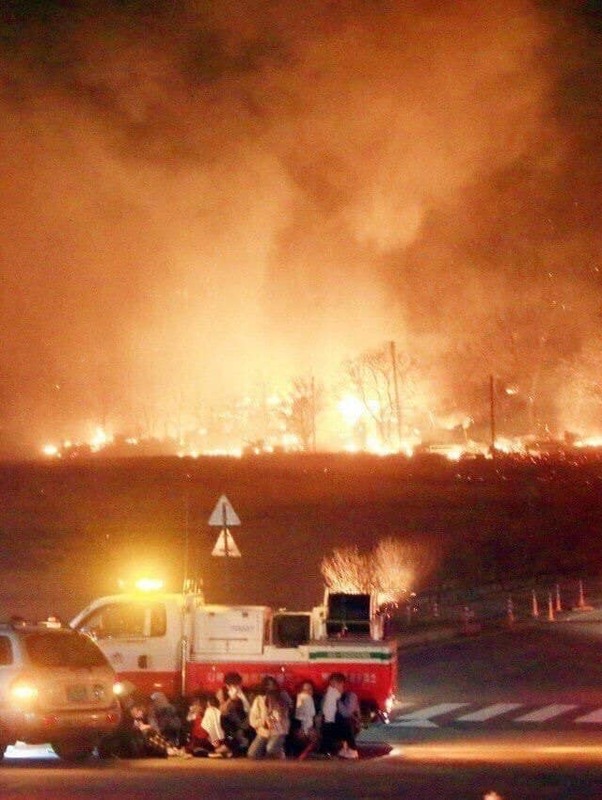 Despite some clear room for improvement, quick action from local emergency responders prevented one of Korea’s largest wildfires from being even more destructive. As victims and volunteers continue the cleanup and rebuilding effort, the focus will turn to ensuring the flow of government and public support into the region and prevention efforts aimed at stopping the next fire before it starts.